Sorry, candy lovers, but today we’ve got more bad news. Not only will millions of Americans soon be forced to spend Valentine’s Day without their SweetHearts, but there’s also something wrong with the nation’s supply of Hershey’s Kisses. While the chocolate treats will still be available for next week’s big day, they’ll be missing one of their most distinctive features: the tips. Since December consumers have been puzzled by the tips’ absence, fearing that Hershey had changed the candy’s century-old shape. Then the company looked closely at its manufacturing process and discovered a problem with some faulty equipment. A Hershey spokesman said that while a few adjustments solved the issue, the be-tipped candies still won’t be ready on February 14th. Of course, tipless Kisses aren’t the only thing concerning the Pennsylvania-based chocolatier at the moment. Hershey ended 2018 with relatively flat sales compared to the year before, leading to a drop in its stock price. Company executives claim that higher costs combined with increased competition have taken a toll on its U.S. market share. “There’s a lot of growth in snacking,” said Hershey CEO Michele Buck. “At the same time, there’s a lot of people trying to capture that growth.” As a result, last year the company began to raise prices on many of its signature items. Hershey doesn’t expect its customers to purchase less candy, however, and anticipates that revenue will increase in 2018. One factor contributing to the company’s optimism is its new packaging strategy. This spring Hershey will introduce stand-up candy pouches that look more appealing on store shelves, leading to higher profit margins. The company will also debut a new thin Reese’s peanut butter cup aimed at more health-conscious consumers. Hershey is hoping the candy will enjoy the same success as Oreo Thins, a slimmed-down version of the classic cookie introduced by Mondelez Foods in 2015. Along with developing new products, Hershey is expanding its offerings through acquisitions as well. For instance, last year it bought the maker of SkinnyPop popcorn for more than $1.6 billion. Purchases like these will help Hershey maintain its market share in an increasingly crowded snack sphere. Why did Hershey increase prices on many of its products? Besides raising prices, what else is Hershey doing to hold on to its share of the snack market? 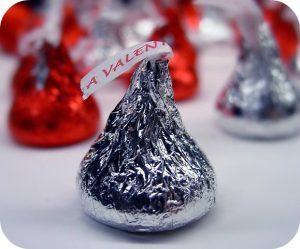 Source: Annie Gasparro, “Hershey Looks to New Candy, Higher Prices to Boost Revenue,” The Wall Street Journal, January 31, 2019; Mihir Zaveri, “Hershey Says ‘Manufacturing Process’ Is to Blame for Missing Tips on Kisses,” The New York Times, February 2, 2019.